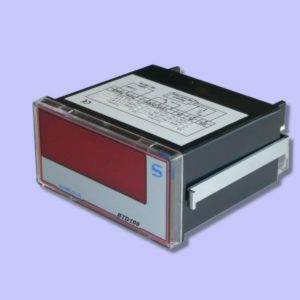 SYNATEL manufacture and supply a range of digital display units suitable for applications including: Counting, Batching, Totalising or Speed indication purposes. SYNATEL manufacture ATEX and IECEx sensors, ATEX and IECEx components and switches, ATEX and IECEx enclosures. Our manufacturing facility also enables us to offer a full bespoke design and manufacturing service allowing for customised or specialised sensors. Our range includes Digital displays (electronic counters & tachometers), custom design & consultancy, batching, totalising, rate monitors, digital displays, process timer, bake time indicator. (If you have a special requirement, use our contact us page with details). 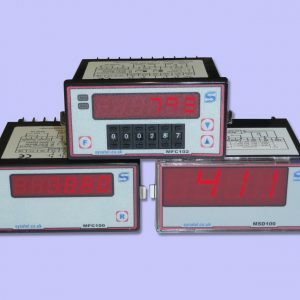 The Multicount counters and tachometer are a highly cost effective range of digital displays which can be user programmed for counting, batching, speed display or dwell/bake time indication. 48 x 96mm DIN enclosure. The Multidwell, an extension to the Multicount family, is a cost effective digital display unit. User programmable to display a variety of speed/time units. Ideal as Bake time or oven timer display. © 2019 Synatel Instrumentation Limited. E&OE. Cannock web design by S7 Media Ltd.